With WESA in Pittsburgh becoming the latest station to air the Political Junkie program, we figured at the minimum it was deserving of a Pittsburgh-related trivia question. So here it is: Who was the most recent presidential candidate born in Pittsburgh? Last week’s question was: Who was the most recent VICE president who served fewer than 100 days in office? The answer? Harry Truman. 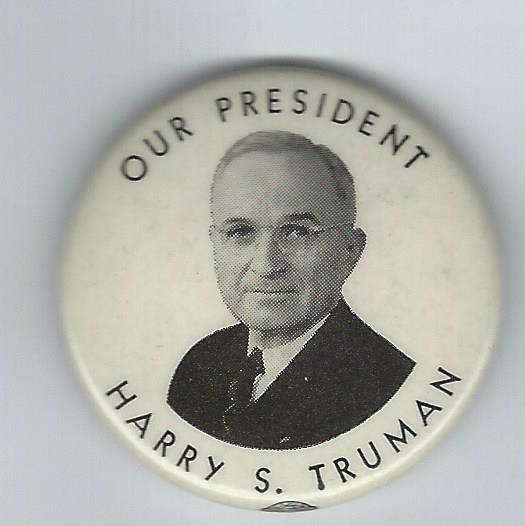 Truman was vice president for only 82 days when President Franklin D. Roosevelt, just starting his fourth term, died on April 12, 1945. The randomly selected winner is Polly Shaver of Carolina Beach, N.C. Polly wins the coveted Political Junkie button.